"I've got Vogue on the phone!" Today was a big press day as we had to catch up with everything from the weekend, especially newspaper supplements. The rest of the S/S samples arrived from the buying office so Hayley and I sorted out what did and didn't have labels and what was duplicates. Any without labels had to be photographed with new stickers - all 118 items! Another big press day All the weeklies, like Look and Grazia, arrived today so we had a ton of things to scan and cut. It's important to keep an eye on the competition so I went through the weeklies form the Christmas season, tracking everyone's coverage. As it's Christmas, there's a big seasonal push, so we wanted to make sure we made the most of the demand. 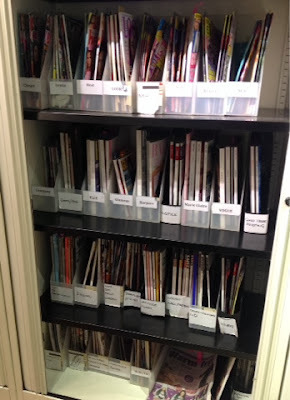 I had a big sort out of all press that had been stored over the last couple of months. Any we wanted, we could keep. I found the most amazingly artistic Wonderland issue. In the afternoon I got to watch the interaction between a press officer and stylists as a magazine stylist and a celebrity stylist visited the office. Seeing this interaction is an important element of work experience. 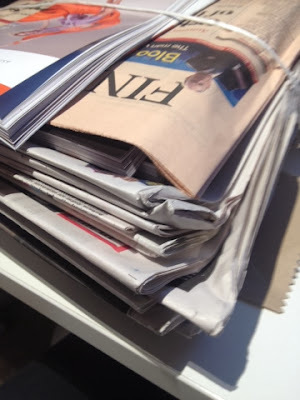 The morning was spent collating more press and ogansiing returns. 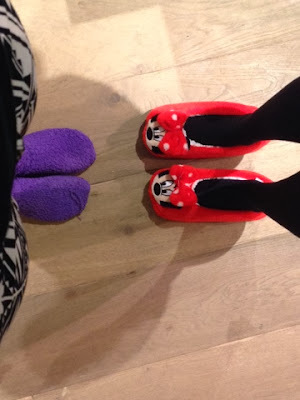 Thw whole office went out for Christmas lunch at HQ so Hayley and I decided to have our own version (sort of) and treat ourselves to take out lunch and a relaxing lunch break - comfy socks included! 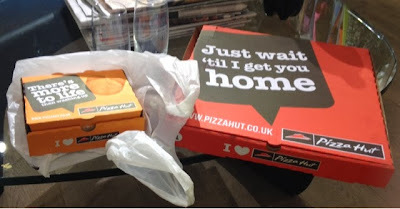 SHOCK HORROR - we had pizza! Yes! Fat and Carbs are found in the fashion industry! Criminal! 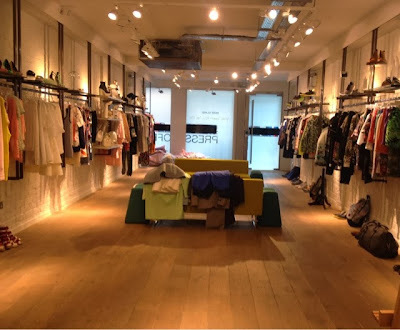 We finished off a really nice day by visiting a sample sale in Westminster (read about it here). I couldn't believe it was my last day at the Press Office! I was genuinely sad to leave. 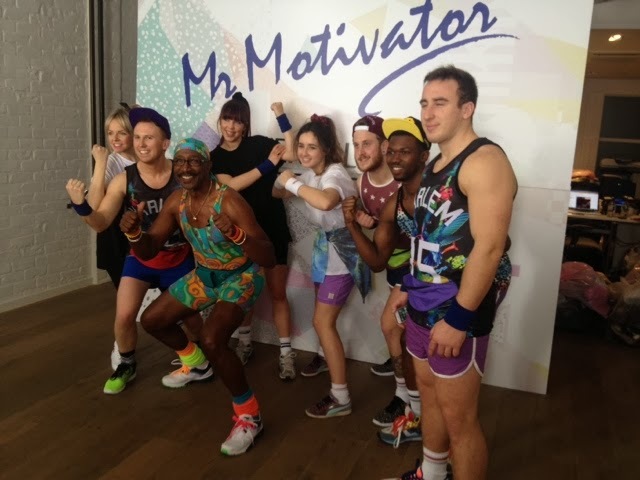 But I had no time to dwell as Mr Motivator was in the office! The team created a short exercise video that would be on the website in the new year to help shift any Christmas pounds. His outfit was, errr, something! 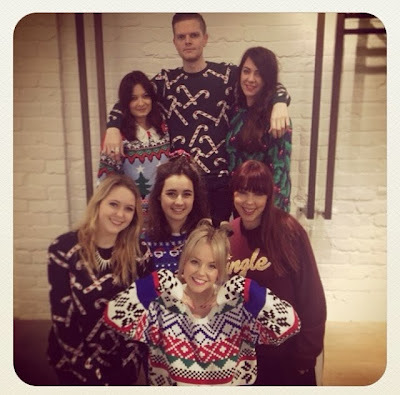 We all had our own unique uniform in the office as Friday was National Christmas Jumper day so we all looked like jolly elfs. 5:30 came around too quickly and then it was time to go! The team gave me the most gorgeous faux fur jacket - that will featuring in a blog post soon! I had the best time and learnt so much! Hopefully I'll see the lovely team again very soon! I'm so jealous! It looks like you had an amazing time. Also great to see a big fat pizza in there too haha! Love your blog girl, following. I really did, I was so lucky! Haha, pizza everytime!Following you too! I intern at a PR company called Exposure, and I remember the first time I had to ring Vogue and it was terrifying! !